Mockingjay 1 teed up a final scene that left us horrified and dangling on a thread for an entire year. The dark tone was set for Mockingjay 2, immersing us fully into the grim state of our main characters. Director Francis Lawrence did not waste any time. Production credits fade and BAM! The opening scene transports us right back where we left off...and I held on. 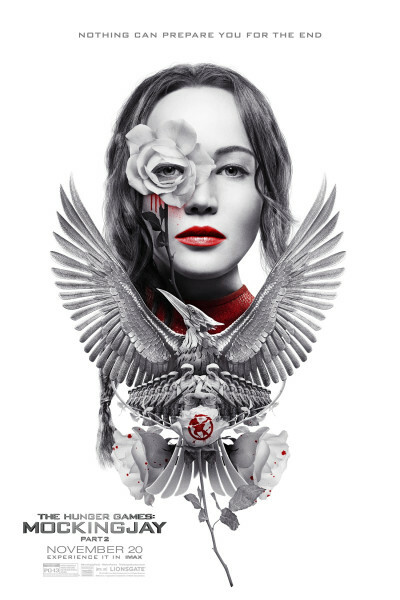 Mockingjay 2 is more of a psychological thriller than its predecessors. This could leave you a bit lost in some key moments unless you have a window into the characters' minds, which the books provide beautifully. Having read the books, I loved it. My family enjoyed it, just did not relate as much so ranked it their least favorite of the series. Do go if you have journeyed through the first three films and are a fan of the series. You won’t regret it, books read or not. The bow was tied slowly on this final installment, but it was tied-up in a way I felt the book could never achieve unless portrayed visually. I sat curled up in my seat with a smile and satisfied closure. The Hunger Games movies have earned that rare and coveted proclamation, “The movies are better than the books.” Real or not real?